QuantaGrid D51PS-1U is a compact but powerful 2-Socket server. Based on the Intel® Xeon® processor E5-2600 v3 product family, it delivers enterprise-grade performance with up to 16 DDR4 memory. It is an ideal front-end web, data-caching, search and application server. QuantaGrid D51PS-1U supports dual CPUs, 16 DRAMs, two PCIe expansion devices and two PSUs in a 24” deep chassis. As a short form factor, this server can be deployed in almost any SMB or data center environment. 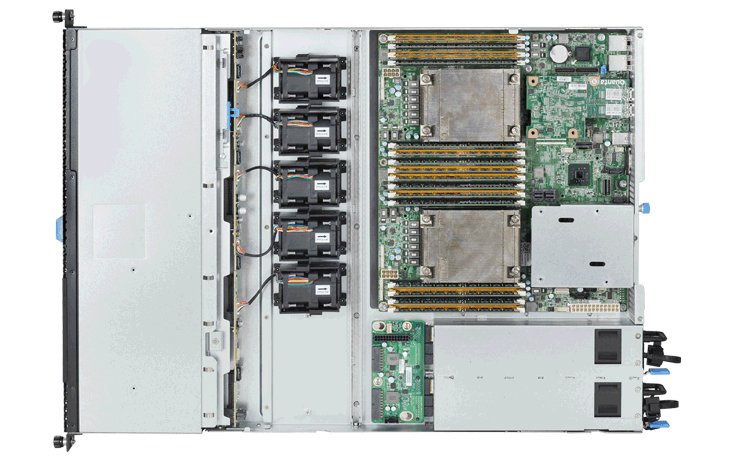 The D51PS-1U delivers enterprise-class performance based on the latest Intel® Xeon® processor E5-2600 v3 product family and DDR4 memory technology. Despite its compact size, it retains scalability and reliability.It offers necessary LAN and storage expansion flexibility without superfluous configuration options. The D51PS-1U can accommodate one PCIe x16 OCP mezzanine plus one PCIe x16 QCT LAN or SAS mezzanine (adding up to eight GbE ports in a 1U chassis). The server supports fan and PSU redundancy to maintain reliable application performance even if one of these critical components fails. 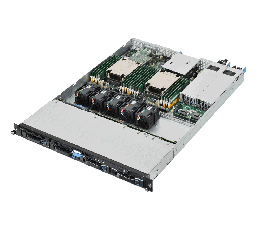 QuantaGrid D51PS-1U provides flexible I/O scalability for today’s diverse data center application requirements. 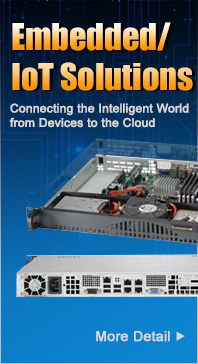 It features OCP LAN mezzanine card solutions in addition to dual GbE or quad 1GbE LAN on motherboards (LoM). With various controller vendors and different speed and technology options, customers can choose from 1GbE to 56GbE bandwidth, copper or fiber-optic cabling, basic Ethernet function or FCoE and ISCI SAN connectivity. The onboard SAS controller offers multiple Quanta SAS mezzanine card options with different RAID levels and data transfer bandwidth so customers can tailor the SAS controller for specific application needs.